Welcome to the BC Islands Region of the Canadian Pony Club! 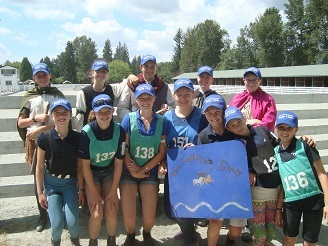 BC Islands is an active Pony Club region, comprising seven clubs. We hold regional PPG, tetrathlon, quiz, dressage and jumping competitions every year. Many clubs offer summer camps, and we send a regional team to a Pony Club rally. We'd love to have you join us. Contact the webmaster with any suggestions to improve this website.